Want to level up your Warlords of Draenor experience? 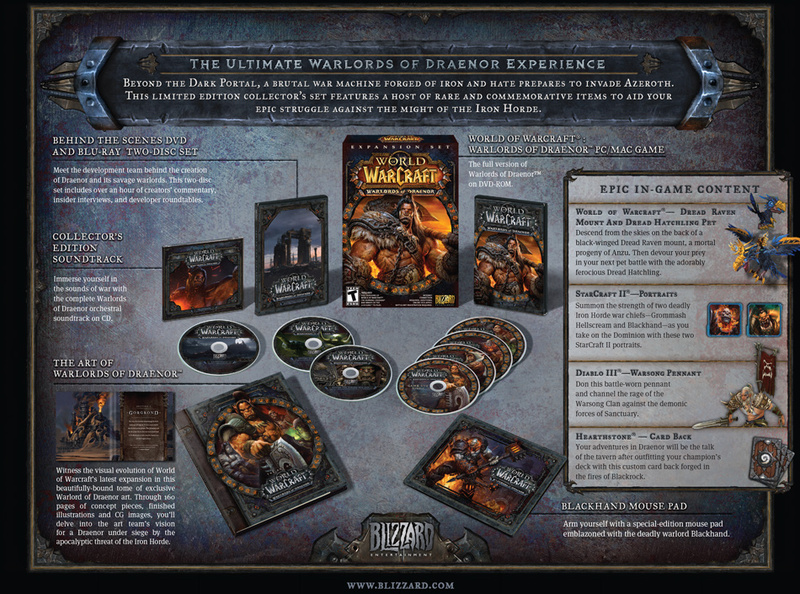 Take a look inside the Collector’s Edition, which contains a host of rare and commemorative items to aid your epic struggle against the might of the Iron Horde. Check with your local retailer for additional details and availability—and if you’re hoping to score a copy, be sure to lock in your preorder soon, because supplies are limited.